A father expresses the joys of childhood through poetry, celebrating the many wonderful activities to be found in each season of the year. Through the lens of the author, you will see proof that a child is the most precious gift anyone could ever receive. They are so innocent, genuine, and natural. They need nurturing and love to allow them to grow. Seeing the world through their eyes is just so refreshing. Enjoy every moment as you watch them mature into the young adults they are meant to be. For more than twenty-seven cherished years Don Kummerer, Jr. has been blessed with being a husband, father, and uncle. He has lived his entire life in eastern Pennsylvania, where he leads an active lifestyle, playing and coaching volleyball among other activities. His love of writing poetry was inspired by sharing his feelings with both of his daughters’ volleyball teams at the end of their high school careers. This love has enabled him to express his true beliefs in living life to its fullest potential. 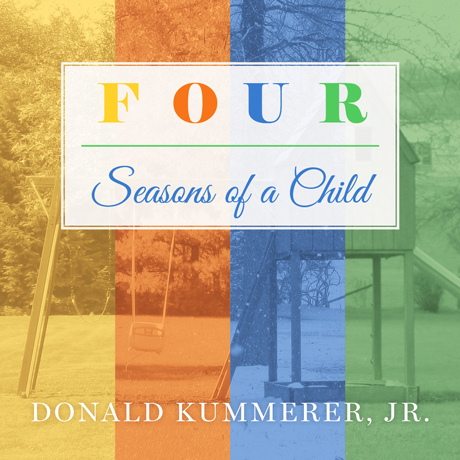 Four Seasons of a Child is Don’s first book.